Fleet 1 Sausalito Cruise, July 17-19 2015 Attending? Please contact me. 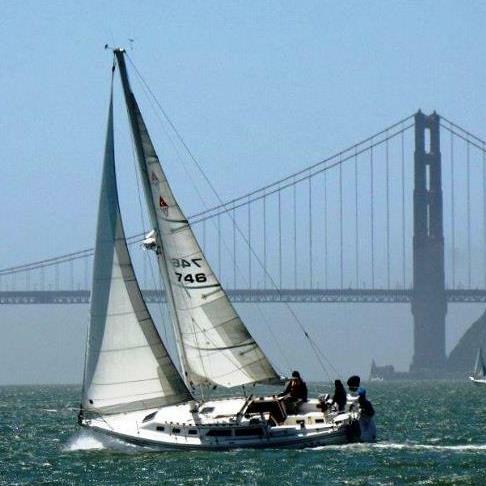 Topic: Fleet 1 Sausalito Cruise, July 17-19 2015 Attending? Please contact me. I hope everyone is having a wonderful spring sailing season! We had a great cruise up to Petaluma last month and now it’s time to start thinking about our next cruise to beautiful Sausalito, July 17th through 19th. We will again be berthing at the wonderful Schoonmaker Point Marina. (http://www.schoonmakermarina.com/default.htm). They have been very kind to the Fleet in the past and are again welcoming our arrival this summer. Those of you who’ve been on this cruise before are already familiar with the location and access to great shopping and dining up and down Sausalito’s historic Bridgeway Promenade. For those who haven’t been, you will discover a great sailing destination that you’ll happily return to year after year. I’m looking at a few different options for a group dinner Saturday evening and certainly welcome your suggestions. Within the marina, there is the very hip and trendy “Le Garage” that we’ve been to several times, but there are other choices within walking distance that may be good also. Please let me know if you have a favorite. My crew and I are thinking of playing a little golf (9 Holes) on Saturday at the nearby McInnis Golf Course and would love to have some fleet members join us. Perhaps we can have a mini C34 Fleet 1 Golf Tournament! (I’ll head to Goodwill and buy a cheap Trophy..). So mark you calendar’s my friends! Next cruise, Sausalito, July 17-19! I love to see a good Fleet showing!! Please contact me as soon as possible with your availability!